Weekends are what dreams are made of, or at least that’s how I felt about this weekend. I went out on Friday night with my husband and his work friends, and as DD, I was able to enjoy a colorful evening, felt fantastic the next morning and received countless thanks for driving. Good times. 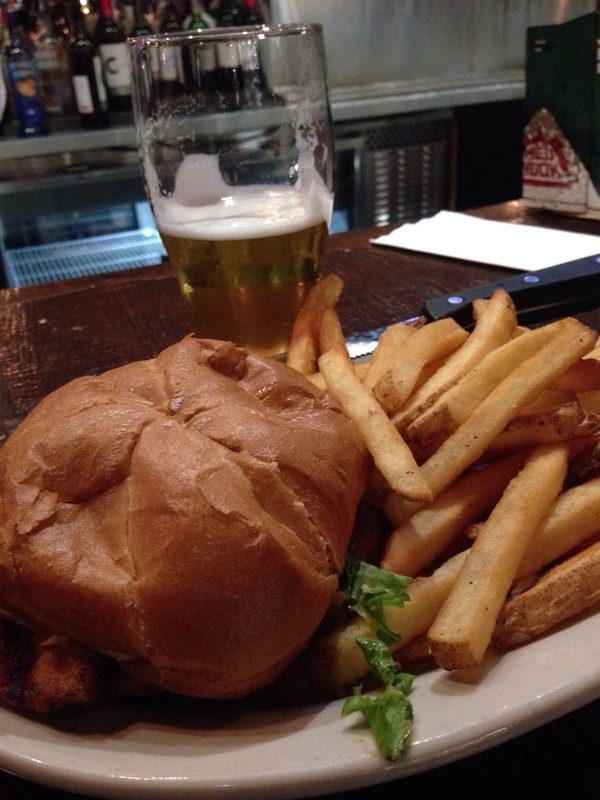 First stop was Red Hook Brewery, so I had a Hale’s Cream Ale and a salmon burger…delish! Since Friday was a late night, I enjoyed sleeping in, and I find sleeping in the most luxurious think in the whole wide world. I was able to get in some light cleaning and handled grocery shopping, and since I did not buy flowers on Friday, I picked up some gorgeous white hydrangeas on Saturday. I spent Saturday afternoon/evening on the couch, eating takeout and dark chocolate walnut brownies, drinking red wine and watching some of the best reality TV I’ve watched in a long time…via on demand…with my favorite girls. It was the perfect night in with girlfriends. 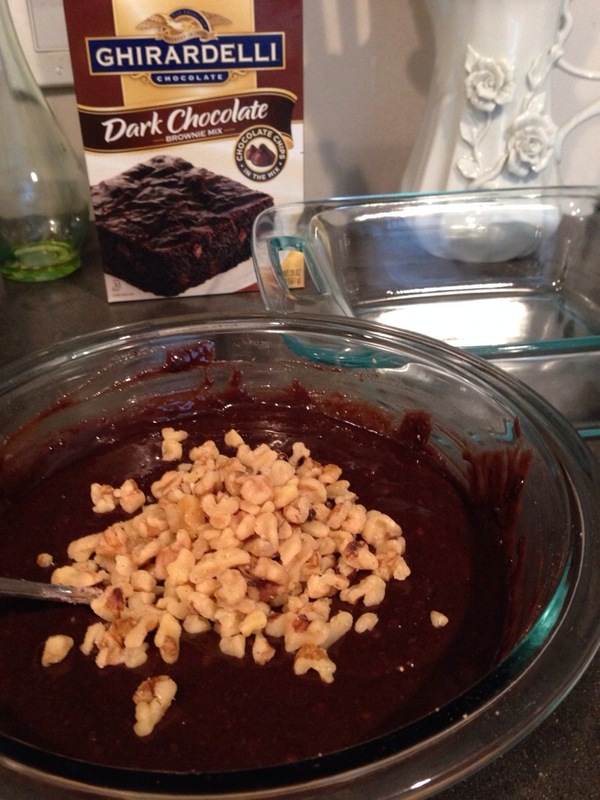 Some things are meant to be…like this brownie mix being in my cupboard on a girl’s night. Sunday morning was dreamy. I made a yummy poached egg and finally tried making hash browns in the waffle iron (here’s the recipe), sprinkled some Mediterranean sea salt, pepper and green onion on top, and it was just perfect. I turned on Songza and found the best station, –Tina Turner aaaand The White Stripes? 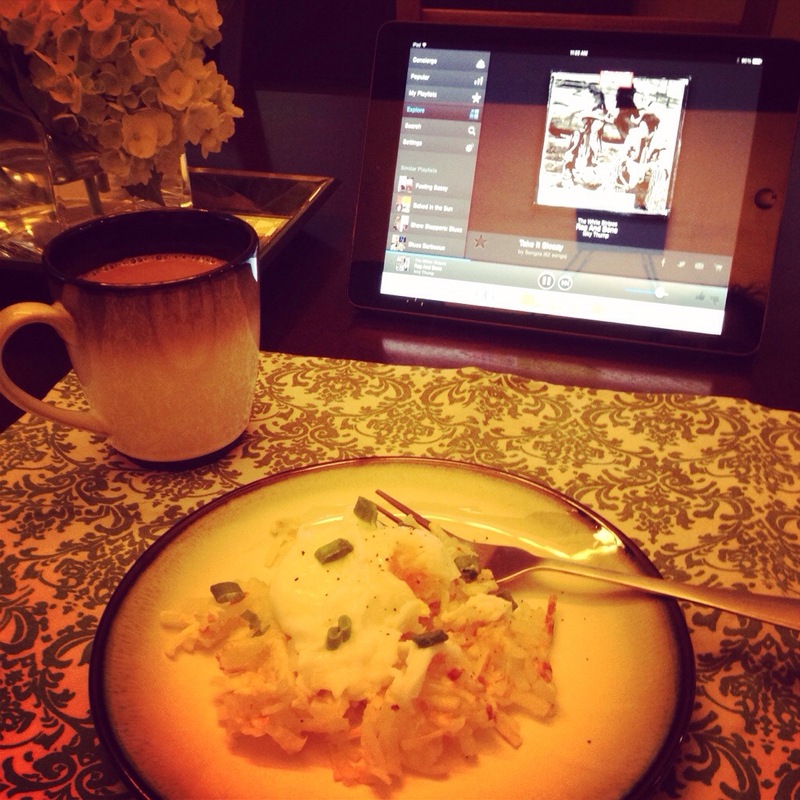 !– sipped my coffee, read my new book and just relaxed. Afterward, I felt so energized and inspired, ready to dive into a project, and so I did (more on that later this week). After I got my craft on, I made a veggie lasagna, and the hubby and I snuggled up for some Game of Thrones. Today I feel rested and ready for the week. Busy and action-packed weekends are great, but sometimes being home feels so good and I think you just need that every once in a while.